In the past, coding was a pretty niche affair, those of us with our Acorns, Spectrums and Commodore 64s experimenting with lines and lines of code. I remember as an 8 year old, spending ages typing out lines of code on my beige Acorn Electron to draw….a line on the screen. To add insult to injury there was no way to save it unless I wanted to erase my tape of “Ice Ice Baby” and replace it with my code. Needless to say because we were put into the deep end in those days, like millions of others I was put off a bit by coding and just played computer games instead. Fast forward to the iPad era and coding is coming back in a big way. Some very talented developers with a love for coding have produced some spectacular apps, turning the iPad into a coding studio in your hand. There are some great iPad apps which take the pain out of coding for the layman and can teach your children (and you) some excellent skills. This article will concentrate on the best coding apps available currently for your children aged 2-9. A follow up article will look at apps for older children. Kodable is a brilliant app for introducing your young children to the concepts of coding. What I like about it is it takes no time for your children to get to grips with. Your children can get started straight away and learn by play. The basic idea of the game is that you have to guide a small fuzzy ball called a ‘Fuzz’ around a path. You do this by dragging arrows into boxes to tell the Fuzz which direction to take. Once you have dragged the arrows in, you run the program and see if you have done it correctly. 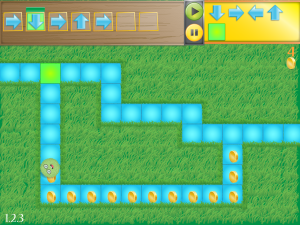 You can also direct the Fuzz through more difficult routes in order to pick up coins to get more points. The game then introduces more difficult concepts like decisions and functions, but all in a very accessible way. You can also earn new Fuzzes depending on how you do in each level. As a side note to this app, the developers of it are also very active in schools in their local area and also worldwide, hosting twitter chats and video conferences. As well as this, they have also included a ‘Kodable Curriculum’ so you can run through a program of study with your children if you want to. It’s nice to see developers being actively involved in the educational side of apps. I’ve used this app with my daughter since she was 2 and I barely had to explain a thing about how to use it. It’s a really nice experience as a parent to sit down and play something like this with your child. 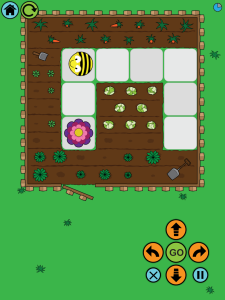 Bee Bot follows a similar path to Kodable, in this case you have to direct a bee from it’s starting position to a flower. The difference between this and Kodable is that you can’t see what direction you have already directed your bee in. The concept here is to tap in the directions you want the bee to take, press ‘Go’ to make your bee run your program. Because you can’t see what has been programmed in, this also becomes more of a memory game, probably suitable for slightly older children rather than the very youngest. 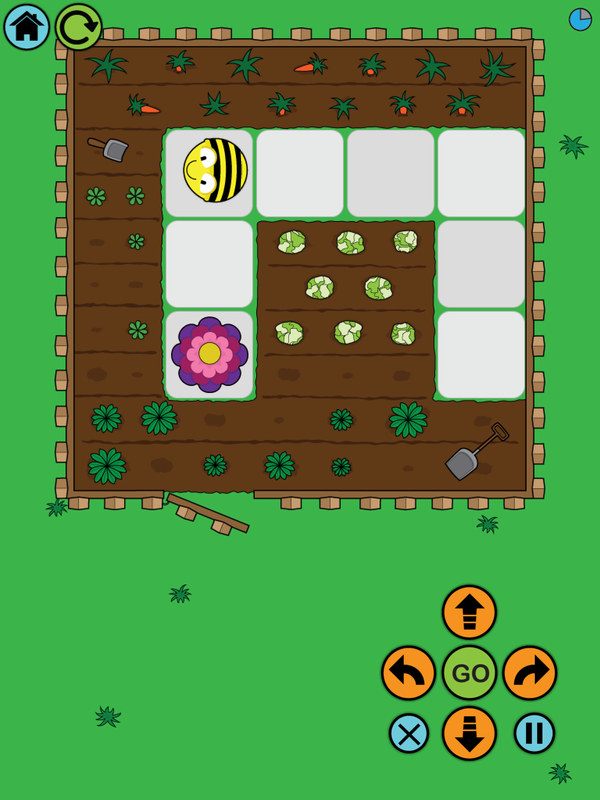 Bee Bot hardware is also available and if your child’s school has a set, this would be a great companion app to bridge the home-school learning gap. Daisy the Dinosaur gets away from the move around a map concept. It’s an app which gives slightly more creative outcomes in terms of the program that you write. The idea behind the app is that the central character is Daisy the Dinosaur, and you have a series of commands you can give Daisy, for example Move, Turn, Grow, Shrink, Repeat to name a few. These commands can be dragged into the ‘program’ area to build your program. There are two modes, ‘Free Play’ mode where you can practice programming Daisy, and ‘Challenge’ mode where the app gives you specific challenges to complete, like “Make Daisy spin 5 times” or “Make Daisy jump”. What is nice about Daisy the Dinosaur is as well as teaching your children programming, they also have to learn words in order to drag the right code in, and math, so they know how many times to execute commands in the program. 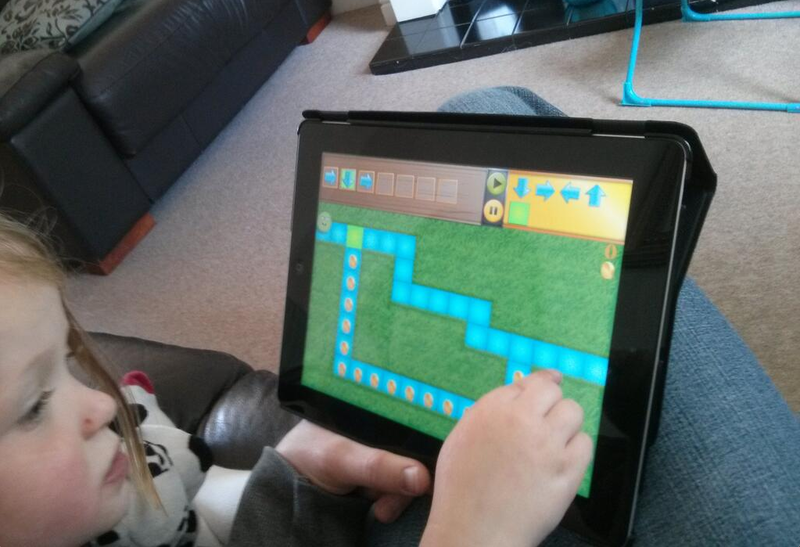 I’ve found my daughter and I have got most out of these apps when we have coded together. The beauty of the iPad is we can take it out, go for a coffee, cake and a code. All of these apps offer bitesize chunks so they are all very flexible to dip in and out of. 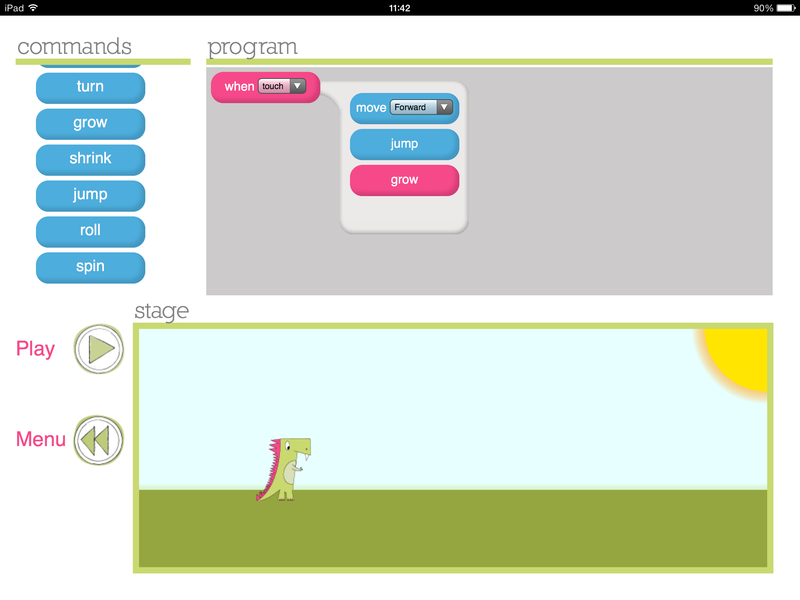 Please do add any other suggestions for coding apps for the 2-9 age group in the comments, or tweet me @BGSICT. My day job is Director of Technology at one of the UK's leading independent schools. I'm on a daily mission to use, and learn to use technology in the most creative, innovative and transformational ways. The iPad ticks all of these boxes. I'm also an Apple Distinguished Educator, so at least Apple think I know what I'm blathering on about. My geekery also extends to a passion for cricket, amateur astronomy, video gaming and bad guitar playing. You can contact me on Twitter with the link below. Cargo-bot is another great coding one for kids…although sadly my daughter found it a little frustrating. Yes, good call. CargoBot will be making an appearance in Part 2, which is aimed at slightly older children. 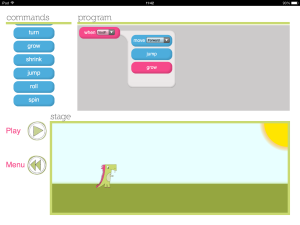 The interesting thing is that CargoBot was itself made by an iPad app called Codea which will also feature in Part 2. Lightbot is another great one on the iPad. I’ve used it with both the students in my 3rd/4th grade class and my own child and they love it. Thanks Denise, great suggestion. Lightbot is a very good one to add to the list. These are all interesting as the technology is growing every child is smart enough to use these gadgets and their applications. These apps are really easy and entertaining.